The U.S. Small Business Administration’s Surety Bond Guarantee Program helps small business get bonded. If you wish to learn about this program, you are invited to participate in a free, live webinar on Thursday, April 17, 2014 from 10:00 to 11:00 am EDT. Internet: https://connect16.uc.att.com/sba/meet/?ExEventID=87462470 (copy the link into your browser to attend). Phone: 888-858-2144 and then enter meeting code 7462470# to connect by phone. For more information please contact Ms. Melanie Bryant at 404-331-0100, ext. 603 or melanie.bryant@sba.gov. In a rule (79 Fed. Reg. 2084) scheduled to go into effect on Feb. 12, 2014, the Small Business Administration (SBA) is modifying its Surety Bond Guarantee Program to incorporate certain provisions of the National Defense Authorization Act of Fiscal Year 2013 (NDAA). This includes provisions that increase the contract amounts for which SBA is authorized to guarantee bonds, grant SBA the authority to partially deny liability under its bond guarantee, and prohibit SBA from denying liability based on material information that was provided as part of the guarantee application in the Prior Approval Program. The rule also makes changes to the Quick Bond Guarantee Application and Agreement, the timeframes for taking certain actions related to claims, and the dollar threshold for determining when a change in the Contract or bond amounts meets certain criteria or requires certain action. Finally, the final rule eliminates references to the provisions of the American Recovery and Reinvestment Act of 2009 (Recovery Act) that has expired. SBA has developed a new streamlined application to help small business owners bid and compete for contracting opportunities. The Quick Bond Guarantee Application Agreement is for contracts less than $250,000 and combines the contractor application and SBA’s agreement with the surety to guarantee the bond into one easy-to-use form. The new form, the Quick Bond Guarantee Application and Agreement (SBA Form 990A) is available here. Speed up the application approval process. 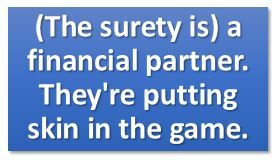 For more information on surety bonds and SBA’s Surety Bond Guarantee Programs, visit SBA.gov/Surety-Bonds. Are you a small business owner frustrated with outdated and often cumbersome regulations from the Small Business Administration? Then SBA wants to hear your suggestions on whether those rules should be streamlined, expanded, or possibly withdrawn altogether. On Monday, SBA published a notice in the Federal Register asking the public to weigh in on the impact of its regulations and the best way to improve them. The proposal comes on the heels of President Obama’s January executive order calling for a governmentwide review of all federal regulations. The order said inefficient, out-of-date and burdensome regulations could be repealed if they were stifling private sector job growth. 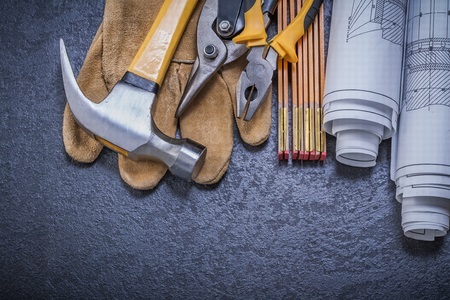 The order instructs agencies to develop a plan for reviewing their regulations by mid-May. The plan, along with any supporting data, would then be made public, Obama wrote. While the SBA notice did not cite specific regulations, it did say the retrospective review would focus on small business investment companies, surety bond guarantee, business loans, disaster loans, government contracting and Historically Underutilized Business Zones. SBA recently concluded an exhaustive review of its 8(a) Business Development Program and now is examining size regulations. Neither will be subject to the new review. 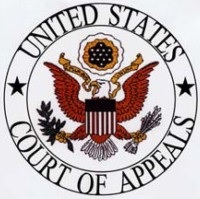 The agency wants the public to comment not only on specific regulations, but also on how it should devise its preliminary plan “with a defined method and schedule for identifying certain significant rules that may be obsolete, unnecessary, unjustified, excessively burdensome, or counterproductive.” Comments also should address how SBA can best evaluate and analyze its regulations and obtain accurate and objective cost data. Commenters should consider the economic burden the regulation imposes on small business entities and whether the rule is duplicative or overlapping; paperwork could be reduced by allowing electronic submissions; the regulation has been discredited by new scientific information; and the issue could be better handled by trade organizations without federal involvement. Sen. Olympia Snowe, R-Maine, ranking member of the Senate Committee on Small Business and Entrepreneurship, encouraged the public to participate in the review. Earlier this month, Snowe and Sen. Tom Coburn, R-Okla., introduced the Small Business Regulatory Freedom Act, which would require agencies to calculate the direct and indirect economic impact of federal regulations. Small business review panels would be installed at all agencies and small businesses also would be allowed to challenge proposed regulations in court. Comments for the SBA notice must be submitted by April 13. Comments can be submitted electronically at regulations.gov, or mailed to the SBA Office of the General Counsel, 409 Third Street SW., Washington, D.C., 20416. The review plan, along with an initial list of regulations that will be evaluated, is expected to be complete by late May or early June and will be available on SBA’s Open Government Web page.